In what has seem to become the new norm, streetwear is currently embroiled in a feverish game of one-upsmanship in a bid to see who can land the most insane, leftfield collaboration. From Advisory Board Crystals' shirt with Wikipedia to Japanese label BEAMS' recycled designs using Ziploc bags, streetwear has proven that no brand is off limits, no matter how tangential to fashion it may be. Enter streetwear pioneer and Bape creator, Nigo, who has returned with his new label, Human Made, for a new collaboration with none other than iconic fast food brand, KFC. 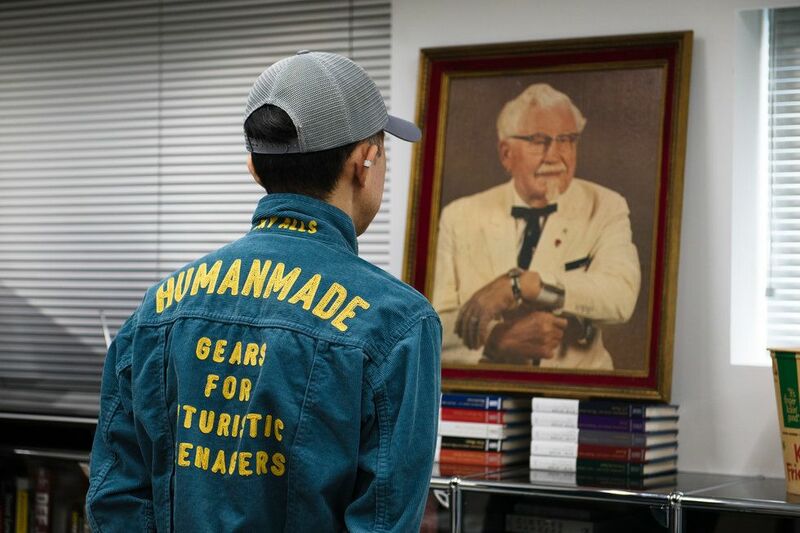 Arising out of a lifelong obsession with the brands mascot, Colonel Sanders, Nigo was invited by KFC to tour the company's headquarters and learn how to make fried chicken. A phenomenon in Nigo's homeland, KFC is an entrenched part of contemporary Japanese culture, so much so that it has practically become synonymous with Christmas in the country. Nigo was granted access to KFC's archives to draw inspiration from for what would be the fried chicken giant's first forray into fashion. 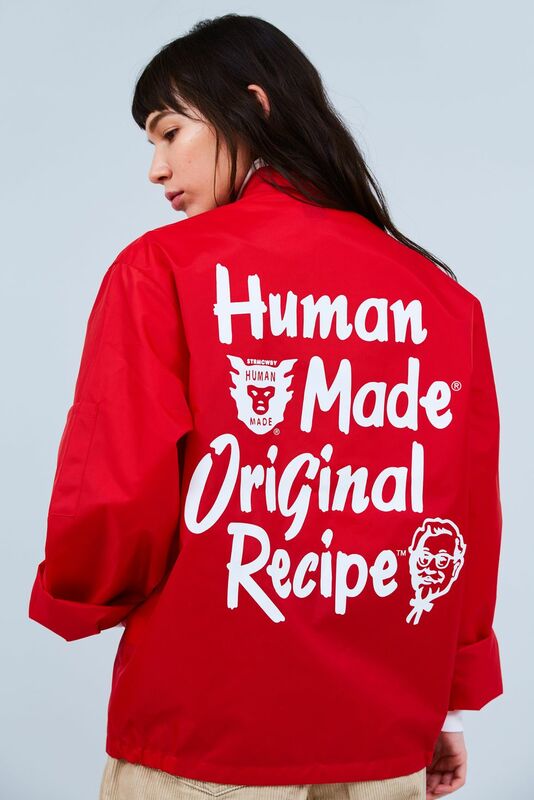 The resulting collection is an Americana and workwear inspired array of jackets, t-shirts, hats, bandanas, and totes that incorporate some of KFC's most enduring iconography. From a large stitched portrait of the colonel on the back of a white denim jacket to red and white stripes decoratively lining the edges of a sweatshirt and pocket tee. Tucked away in unexpected corners, KFC's logo pops up as a decorative patch demonstrating the level of thought and care that went into crafting this capsule.